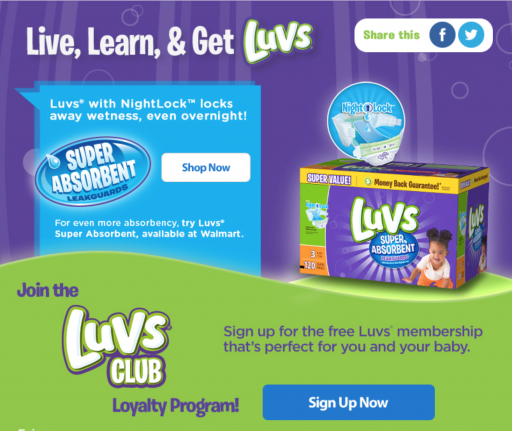 Join The Luvs® Loyalty Program And Qualify To Win Diapers For a Year! Diapers are always at the top of my grocery list. We always, always need diapers. My little Halli is also super picky when it comes to diapers. Not all diapers are created equal in comfort, and leak protection. The cost of diapers can also add up super quickly. That is why Luvs® is the best on my wallet and Halli loves them because Luvs® keep her comfortable and dry. 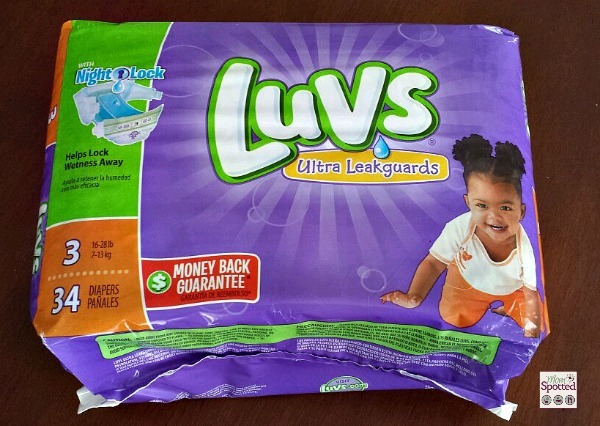 Luvs® and their Luvs® Super Absorbent diapers can be found at Walmart. If you haven’t tried them you must! They give excellent protection against leaks. Even at night and during long naps Halli has never leaked out of Luvs® Super Absorbent diapers. Luvs® also has an amazing loyalty program! The #LuvsClub offers tons of great savings, as well as baby-related videos and tips. Luvs® is also giving the first 2,000 registered members a $5 Walmart e-gift card and a chance to win the grand prize of free diapers for a year! That is $1,000 value! The drawing will be held in April 2015. Once you sign up for the loyalty program you are automatically entered to win. So hurry up and submit your registered entry now! 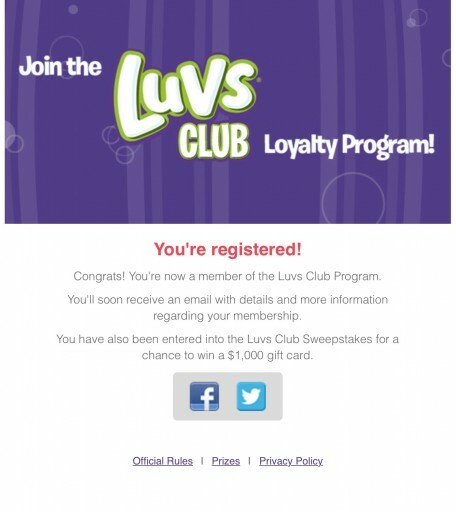 I registered for the Luvs® Loyalty Program and it was quick and easy! Now I can receive great tips and articles sent right to my inbox. I am looking forward to receiving information, savings and opportunities that are exclusive to Luvs® Club members. I feel like some days I need all the help I can get so I am excited to learn some new tips and tricks from Luvs®. Plus now I am entered for the grand prize! I know we could use diapers for a year so I’m keeping my fingers crossed! Make sure you head over to the Luvs® Loyalty Program and sweepstakes so you can be entered to win the grand prize of diapers for a year, plus the additional savings and extra bonuses that come with the loyalty program. I love this brand of diapers for my baby. Great quality brand that hold up very good. Love how the fit my baby perfectly.